With 17 years experience as a top producing real estate agent, James Ward with Keller Williams Realty is the right choice for your LUXURY or WATERFRONT property needs along the New Jersey Shore. James holds the esteemed designations of Accredited Luxury Home Specialist (ALHS), Resort & Second Home Specialist (RSPS) and proudly offers the skills & systems required to reach your buying and selling goals. Listing courtesy of Gloria Nilson & Co. Real Estate. Listing courtesy of Ward Wight Sotheby's International Realty. Listing courtesy of RE/MAX Paradigm Realty Group. Listing courtesy of M. Van Sciver REALTORS. Listing courtesy of Diane Turton, Realtors-Bay Head. Listing courtesy of Childers Sotheby's Intl Realty. Listing courtesy of Berkshire Hathaway Home Services Zack Shore Realtors. Listing courtesy of Clayton & Clayton Inc.Realtors. Listing courtesy of Weichert Realtors-Spring Lake. Listing courtesy of D'Amico & McConnell Realtors. 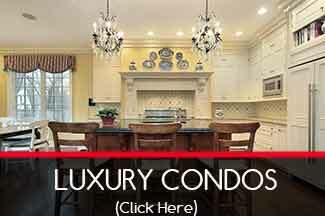 Listing courtesy of Berkshire Hathaway HomeServices New Jersey Properties. Listing courtesy of Diane Turton, Realtors-Wall. Listing courtesy of Chris Smith Realty. Listing courtesy of Mantoloking Realtors. Listing courtesy of Paragano Real Estate. Listing courtesy of RE/MAX Real Estate LTD.. Listing courtesy of Weichert Realtors-Sea Girt. Listing courtesy of Keller Williams Shore Properties. Listing courtesy of C21/ Solid Gold Realty. 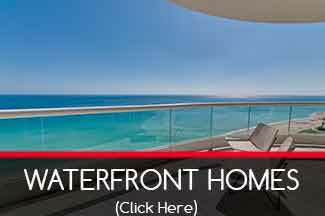 Listing courtesy of Ocean Pointe. Listing courtesy of Weichert Realtors-Pt.Pl.Beach. Listing courtesy of Weichert Realtors-Normandy Bch. Listing courtesy of Keller Williams Realty Spring Lake. Listing courtesy of Keller Williams Village Square Realty. Listing courtesy of Diane Turton, Realtors-Avon. Corner double lot in beautiful Sea Girt. 100'x150'. Just a few blocks to the beach. Listing courtesy of Preferred Properties Real Estate. Listing courtesy of The Gallery Residential Brokerage. Listing courtesy of Providence Realty Group, LLC. Listing courtesy of Diane Turton, Realtors-Sea Girt. Listing courtesy of Berkshire Hathaway Home Services Fox & Roach. Listing courtesy of Keller Williams Realty Ocean Point.